Few countries in the world transpire palpable history as much as South Africa does these days. Everywhere one turns his or her eyes to, one can see evidence that this country has been through a major paradigm shift in it own narrative. South Africa has been known for years as the country at the bottom of Africa that has two oceans melting at the famous Cape of Good Hope; but it has also been flagged as a country that has produce light wines, a strong rugby, and a distasteful apartheid. Then a strong and dedicated man, stood up free after having spent 27 years in jail to become a symbol of modern human history. Recognized as living hero in our world history, Mandela is in reality in South Africa acknowledged as an icon placed above all, a guiding star in the dark day of the past and a moral trustee in the hopeful days of the future. Men of reconstruction are usually not the men of (re)action, but in this particular case he was, and because he is still alive the icon Mandela has impacted more his country that one could have hoped for, by managing his own legacy. Today the country is firmly standing on the ground of free speech and reconciliation, economic growth and judiciary equality, and on past achievements proudness and future mistakes fear. Even though few people are mixing cultures to embrace a new newness, people are respectful of the other side, not in fear of the unknown but much more on a tacit acknowledgment that it will be better for the nation to change the course of action and become a rainbow nation (all colors are put side by side but not mixed together) as oppose as a melting pot nation. The next generation will take care of the rest later on, as long as no one will avenge himself or herself on the wrong basis of inequality. Because South Africa has everything it needs to growth, the country can become a light in Africa, the same way Mandela was and still is a light in South Africa. It seems that Mandela's sense of honor and courage has transpire over an entire nation, and the entire nation sensitive to his sacrifice has decide to stand up and become free of the past fear and hopeful of the future. Every conversation or discussion I had the chance to have made me feel that I was in between two oceans of overwhelming sensations: a dark past still marching on the footstep of the country shadow and the bright hope of an exhilarated future ahead. This ambivalence made me feel right at the center of mankind history in which you could fail over one side or the other, feeling alive and reflected at the same time, part of the present and the past, but also part of the present and the future. Still there is a long march ahead for South Africa to overcome the major disparities that exist in the country (economic, racial, ideological …) but the future seems brighter at the end of the trip than at the beginning of it. My wish would be that Mandela vision will survive his already considerable achievements, and let the next generations to continue walking on his legacy. Here is the list of addresses from the southern part of my South African trip. This city is not a great spot to stop over if you want some entertainment. The city is in fact a large regional airport with a ferry dock attached to a pier. 15 min away from the airport, this well rated B&B deserved a particular note. Rooms are comfortable and clean, while the breakfast generous and fresh. A nice place to start a trip. The restaurant is well located, next to the Boardwalk entrance facing the ocean nearby. Plates are as large as the service, and the place should be recommended only if you do not feel picking in others “local” restaurant nearby. Put together many shops, restaurants and entertainment on the way to the casino entrance and you have an open mall concept that only a post 70’s, seaside, depleted touristy village can dream of. This city is the right spot to explore the Garden Route, tucked inside an unusual bay, the area is a natural habitat to grow oysters. Thanks to the recent World Cup, large sum of money was invested to upgrade, renovate and create entire districts, shopping strips and activities. This tourist paradise will certainly grow bigger despite its distance from larger cities. The Protea Hotel is nicely located at the tip of the pier, next to the restaurants & shopping area with a back door entrance. Pool is small, and so are the rooms. Nice and clean makes this place a must-do stopover for large tour group and family-oriented vacation time. If you prefer having a nice view and quiet time, investigate rather a B&B on the hills of Knysna, a property facing the ocean or the Thesen Island instead. Between a warehouse and a local market, this concept chain restaurant has managed to attract the lonely tourist on his way to dinner. Portions are huge and bill moderate. This is not fine cuisine but who cares when hungry. Fresh oysters are by number on a plate of ice and could be eaten with Tabasco or lemon. The first time I encountered L’ile de Pain was at 6 AM on my jet-lagged morning picture hunt. The smell was filling the entire island and it was really easy to spot the source of my stomach butterflies. Anything you can think of is spot on, and comparable (if not better) to most French boulangeries in France. A must try! This restaurant was recommended to us [TripAdvisor] for oysters and seafood in general (closed for lunch). This "ostrich capital" of South Africa was once a beautiful place to live for the feather farming millionaires before the high plumed ladies hats went out of fashion (thanks to the invention of cars - the hats would blow away). In the middle of the Little Karoo, the city is the central point to explore the area. Hot and dry most of the year, the city has some to offer those who want to explore. Farm visiting, cave exploring, lodge watching, restaurant eating and B&B sleeping are all the main activities that tourists are faced to do in the once upon a time capital of the expensive feather. Probably the most welcoming B&B I had on the trip. Zoe & Huw Thomas' knowledge of the region is as good as their enthusiasm to share it with anyone. Rooms are spacious, clean and quiet. This is the place I would recommend to stay in the region. Make sure you have a place outside in the veranda or on the terrace to watch the stars when dining at Kalinka. The best restaurant in town is usually packed with tourists and locals who have time to go over a large menu of delights. Food is great and service impeccable. A must try in the capital of ostrich. It used to be the place where people had to travel from far away to taste the imaginative menu. 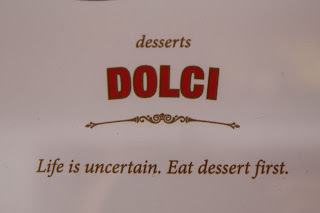 It seems that the restaurant had dipped a bit recently; nevertheless food is interesting, surprising and fresh. Where else can you eat an ostrich-foie gras burger or a fried camembert with springbok anyway? The artificial dam attracts the wild life around when the sun is setting (before 7PM). You do not need to rent a private lodge to watch the animals, go there for a drink or dinner and enjoy the peaceful time watching the wilderness. Out of the few ostrich farms in the region, Safari was pointed out to us for its simple, dedicated and low key environment. It was a nice experience and enjoyment to see, touch and ride ostriches. Don’t forget to buy at the shop any ostrich leather artifacts if you wish since anywhere else it will be prohibitively pricey. Franschhoek ("French Corner" in Dutch) is a small town in the Western Cape Province and one of the oldest towns of the Republic of South Africa. It is about 75 km from Cape Town. Thanks to ideal summer weather, snowy peaks in winter and proximity to Cape Town, the village began experiencing a boom since the 1990s. The city is notable for having some of the top restaurants in the country and is now rightly considered to be the "food and wine capital" of South Africa. The best way to explore and taste wine is to grab a map of the valley (vineyards had better maps than the Franschhoek tourism office) and settle down on a few. I used the Platter's South African Wines 2011 guide which compile and rate over 1000 South African wine producers, and only selected the 4.5 and 5 stars (out of 5) of the valley. A stone's throw away from the best restaurants in town, the Ballon is a simple yet cozy B&B to stay. Make sure you ask your questions before 6PM otherwise nobody will be there to answer you since the place closes early. The Tasting Room at Le Quartier Francais is ranked 31st in the world by the San Pellegrino "World's Best Restaurants" ratings in 2010. If you cannot have a table at this Relais & Chateaux restaurant, you should definitely envision spending the night at the Common Room instead where tapas like plates will content any hungry stomach and refine the palate. One of the best tables I had during my SA trip. You must book one month in advance if you want a table. Must try! Considered by locals to be the best restaurant in the valley, Reuben's is a fantastic place to have dinner. Any item on the menu is a delight for the taste buds and a joy for the eyes. You must book one week in advance if you must try. This place was mentioned to us as a great dinner place with breathtaking views, gourmet cuisine and luxury accommodation situated on a working winery. Among all the shops around, only few could be mentioned for their good quality-price ratio. In general it is way too expensive for what it is and you will find better and cheaper somewhere else. Only the outdoor craft market could be a good place to stop if you want to chat and bargain some of the displayed traditional African artifacts. The estate is nicknamed the "Vineyards in the Sky" for a good reason. Suspended on top of the valley just between Franschhoek and Stellenbosch, the view you have of the winery is fantastic. Certainly the best view of the region. The wine tasting room is open, spacious, and breezy. Wine itself is great, with special attention to it rosé. This is the place to go if you want to eat at a nice restaurant and enjoy a great view. Boschendal is one of the oldest wine farms in the valley and has gained many acclaims in South Africa and overseas. The wine tasting room is located far away from the main warehouse, but is quiet and refreshing under a giant tree. On the other side of the mansion lies a quiet area where picnic tables under pine trees are disposable for visitors to enjoy. Special mention for their Sauvignon Blanc & Shiraz. La Motte is the total opposite of Graham Beck estate: clear, fresh and large. The wine tasting room (inside or outside) offers simple but very nice wine in the region. One of my favorite Chardonnay in the valley. Simple and small the Boekenhoutskloof tasting room offers a simple selection to choose from but still propose its best. The Chocolate Block is a strong and nice wine to drink. At the foot of the spectacular Simonsberg mountain in the Franschhoek Valley lies the historic French Huguenot farm Fredericksburg, established in 1690 and now home to Rupert & Rothschild Vignerons. The Rupert family and Baron Benjamin de Rothschild of France share this prestigious partnership in wine production. This not possible to wine taste, but still easy to buy bottle in the area. Special mention goes to their Cabernet Sauvignon & Merlot. What everybody knows about Cape Town is that the city is squeezed between two oceans and a mountain at the end of the African continent. What not a lot of people know about the city is that it's a great place to live. Imagine a city that can have four seasons in the same day, with nice restaurants between white sand beaches, surrounded by wineries, and still manages to have a convenient size to be able to move around easily. The city is very walkable and still offers great day trips in the region for everyone to enjoy. My only hope would have been to have less windy weather for a short while so that I could have seen the city from above the Table Mountain, but I guess you always have to leave something behind come back to. For me that something in Cape Town would have been the Table Mountain Cableway. Well situated at the end of Long Street and next to the convention center, the Westin is a nice place to stay (if you can afford). Breakfasts are amazing and the view form the top floor is stupendous. Too bad highways are too close to the windows. A burger joint that offers decent finger food for you to upload some calories on your way down Kloof Street. Sophisticated fine dining in Cape Town, this place has been ranked among the top restaurants in the city for many years. Service, wine and atmosphere are all here to prove that food is not the only thing that matters when you want to have a nice dinner. Make sure you book in advance for dinner. On the contrary lunch is usually easy to show up at the last minute … if it's between noon and two. La Colombe is ranked 12th in the world by the San Pellegrino "World's Best Restaurants" ratings in 2010. What to say, except that this was the best restaurant I went to during my trip. Everything was excellent. If there was only one restaurant to choose from, this would be the one. A MUST TRY! This traditional restaurant in the city centre serves communal feasts consisting of traditional Ndebele, Xhosa and Zulu dishes. The only option to choose from is from the wine list. The rest will come as a set menu (14 courses) and by waves of different taste. At the end of the dinner, all waiters came together to sing traditional songs for guests. Typical café to eat when visiting Cape Town. 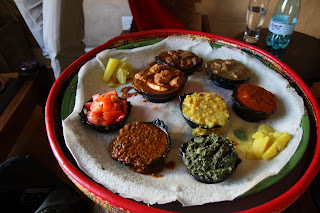 Addis is an Ethiopian traditional restaurant with a large platter to share the different short and very tasteful dishes you can select from the menu. Unroll your injera bread and dip it in the various foods on the communal platter. Make sure you have time for the traditional coffee ceremony at the end. A large house converted into many shops to sell art & crafts at a more decent price than many other markets in town. Don't forget to bring time and a bargaining tongue while there. 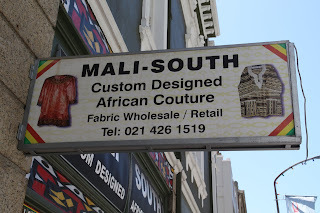 You cannot visit Cape Town and not visit one of its oldest markets. 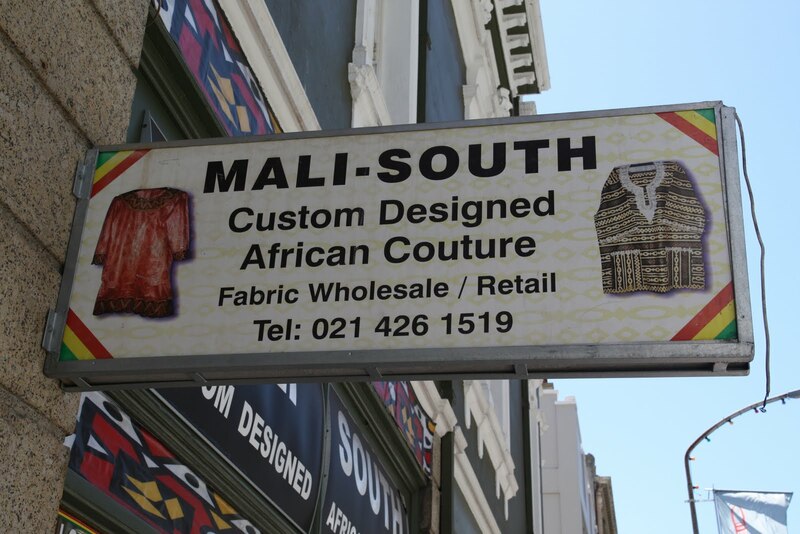 This is where Capetonians have been buying their clothing, jewellery, sandals, crafts and knick-knacks for years. Don't miss it or you would have lost a classic tour. Don't forget as well to look around the square in the shops in which you could see fantastic pieces of art at more expensive prices. Recently built (with Dubai money), the waterfront area is a brand new place for the young & wealthy to play the shopping game. Malls, restaurants, shops, museums, art and crafts are all there to make any visitor happy. Prices are not that funny though. This place is a delight to stop by when you have time. The owner will explain everything in his shop and can make your day by telling you all the stories you want, including the one in which he sold 41 Obama print shirts on New Year's Eve to American tourists. Hermanus is on the Garden Route and is only 1.5 h away from Cape Town. If you want to see whales or Great whites (check the season) that is the place to go. Addo Elephant National Park [http://www.addoelephant.com/parks/addo/] could be a nice alternative to see wild life if you are not into private lodge, national parks and mosquitoes. Robben Island Museum [http://www.robben-island.org.za/], where Nelson Mandela spent most of his prison time, is a half day visit from Cape Town by ferry. Must get tickets in advance [http://www.webtickets.co.za/robbenisland/] though. Rental cars are the best way to see most of the country. Main providers are the usual suspects: Budget, Hertz and Avis. Only Hertz accepts an English-translated driving license, the other two require an English language driving license or International driving permit. TravelJigsaw can help you make your rental car search. Cape Heritage Hotel [www.capeheritage.co.za] in Cape Town was highly recommended with a great location, and an excellent staff. Hop-On-Hop-Off Sightseeing Bus [http://www.citysightseeing.co.za/] is a great way to visit the city. The Blues Restaurant [http://www.blues.co.za/] at Camps Bay is a nice seafood place. It takes one full day of driving to visit Cape Point from Cape Town. The best way to drive around the Cape Peninsula is to go around clockwise. Start at Kalk Bay, then go along Fish Hoek and Simon’s Town, all the way to Cape Point (Lighthouse + Cape Point). Drive along the western coast to Hout Bay, via Chapman's Peak Drive for amazing cliff views and look-out points. Then come back at sunset along Camps Bay for dinner.